Squishy the Terrapin Needs a Fish Tank! 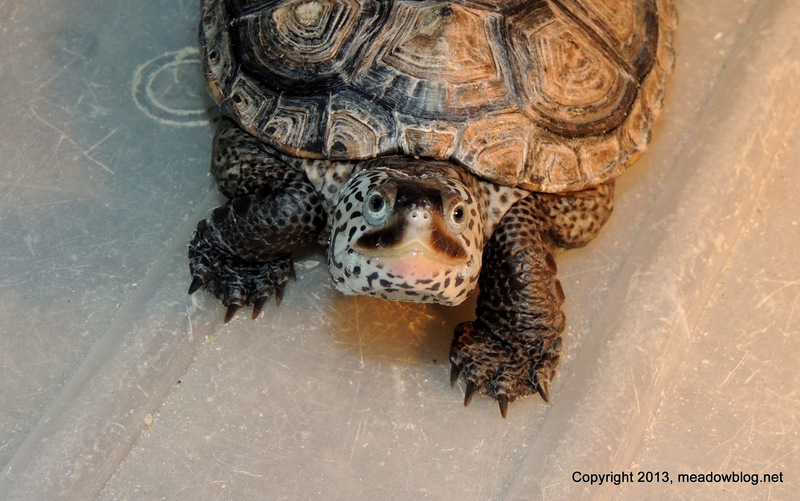 Our youngest Diamondback Terrapin, Squishy, is growing and in need of a new fish tank. I was wondering if anyone has a tank that is capable of holding water that they would like to donate. The tank will need to be at least 36 inches long with a height not exceeding 21 inches. ‘Nature of Meadowlands’ Talk in Allendale Next Fri.
Jim Wright, who keeps this blog, will be giving a talk and slide show on his book “The Nature of the Meadowlands” on Friday, Sept. 27, at 8 p.m. at Allendale Borough Hall, 500 Crescent Ave., Allendale. 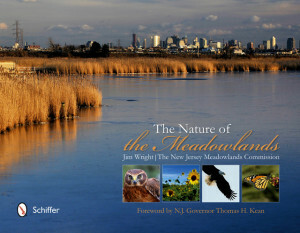 Signed copies of the book will be available for sale after the program, with proceeds going to benefit the NJMC’s educational programming. As a bonus, recent wonderful and whimsical wildlife wood-carvings by the legendary Stiles Thomas will be on display. The Star-Ledger review of the book is here. Contact Jim Wright at 201-469-7349 for more information about the event. 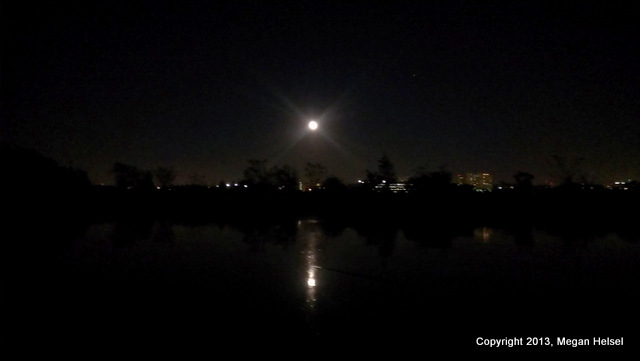 Not the greatest cellphone shot, but check out the harvest moon by kayak in Mill Creek! Folks who enjoy birding along Disposal Road should be aware that two new speed bumps have been installed on Disposal Road near the access point of the North Arlington DPW (as you travel towards Schuyler). These bumps were installed in order to create a safer roadway and, in particular, a safer intersection. As always, be on the lookout for vehicles on all stretches of the roadway.